What goes into an acupuncture treatment? The process of treating back pain with acupuncture, or any pain for that matter, is complex. As an acupuncturist, we have many factors to consider in the treatment. Important factors for the acupuncturist to decide are what acupuncture points to use, how long the needles stay in, what position the patient should lie, the use of electro-acupuncture, additional use of cups, and other factors. One of the important logistical questions about acupuncture is how long is a treatment. In my NYC acupuncture clinic, the first visit lasts about 75-90 minutes. 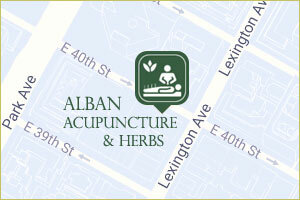 The following acupuncture visits are about 45-60 minutes. In the first visit, we have an examination, an acupuncture treatment, which is often followed by acupressure. Other therapies may be included such as cupping or gua sha. Chronic back pain and neck pain often develops after a car accident. It can happen directly after the accident or gradually over a period of time. Sometimes, people with chronic neck and back pain just doesn’t seem to get better, no matter what they try, even if there are no findings on the x-rays and MRI tests. Acupuncture is very effective at reducing chronic back pain after a car accident. 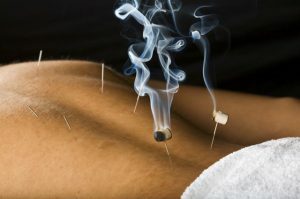 In acupuncture and Traditional Chinese Medicine the concept of circulation is unique and can be the reason acupuncture works when other therapies do not. This is the second article in a series focusing on acupuncture for the treatment of back pain. This is a case explaining how acupuncture can treat back pain after a car accident. The patient is a young man in his early thirties who came to me for acupuncture for his back pain after being in a car accident. The car accident had occurred over 2 years before he began treatment. Despite therapy, the pain persisted. The pain and tightness was focused in his lower back that sometimes radiated down his legs. Everyone in my New York Acupuncture clinic is talking about the article in last week’s New York Times. This article tells how NFL players are now regularly using acupuncture to help heal from injuries and recover from their grueling schedule. Many pro athletes are now using acupuncture as part of their health maintenance program. Acupuncture can help serious athletes by keeping muscles loose, decreasing inflammation, and increasing circulation. Of course, it also can treat specific ailments as well, like rotator cuff injuries, neck and shoulder pain, sciatica, and elbow pain. 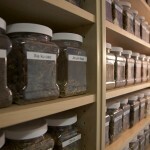 Acupuncture and Chinese herbs have long been used to treat asthma. It is especially important during the cold and flu season to keep asthma under control. For people with asthma, common colds not only cause sinus headaches and cough, it can also lead to wheezing, asthma attacks, and a cycle of colds which is difficult to stop. In Chinese medicine, a lack of energy, or qi, is the most common imbalance that leads to asthma. When there is too little qi, people are often very susceptible to getting a cold or flu. Acupuncture is one of the most powerful and versatile therapies in Chinese medicine, but it is not the only one. Acupuncturists use many techniques of Traditional East Asian Medicine. Other techniques include moxibustion, gua sha, and cupping (as well as herbal medicine and acupressure). Moxibustion is the burning of an herb call mugwort, ai ye in Chinese, close to specific acupuncture points or on the needle itself. It is used to warm and add energy to the acupuncture point. It also is good for moving stagnation. These last six weeks have been monsoon season here in New York City. Everything was soaked, soggy, and slippery. And that makes for poor bike riding conditions. A few weeks ago, I was riding home from my Tai Ji class in central park. I wa s trying to be cautious, but when I hit a muddy spot on a turn my bike slipped out form under me. 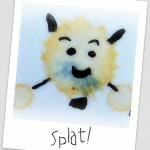 Splat, I fell on my left elbow. The current Olympics in China are bringing many Chinese customs and traditions to the mind of Americans. And Chinese medicine is just the same.